My god child Sonja asked me once to make a Fairytale costume for a friend of hers. They wanted to go to a Games Con. Sonja had bought a Lucy costume for herself but her friend still needed his cosplay. I knew the name Fairytale coz I had bought some of her mangas as a gift but never ever read one of these. After looking for pics of Natsu I asked Sonja to give me some measurements from Alex like hip, waist, bust, shoulder length …. To make this cosplay suitable I had to make compromises! 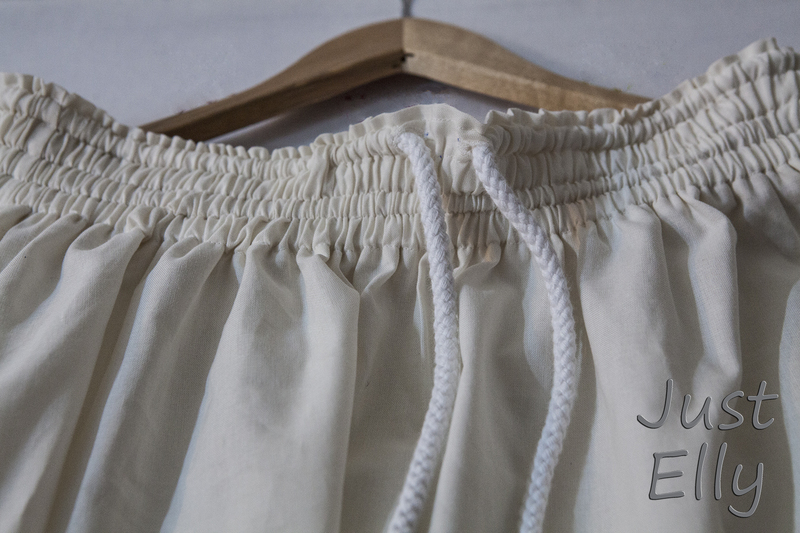 First I made the skirt. Because I hadnt had his size I decided to make the skirt variable for different sizes. To do so I used velcro as seen in this sketch. 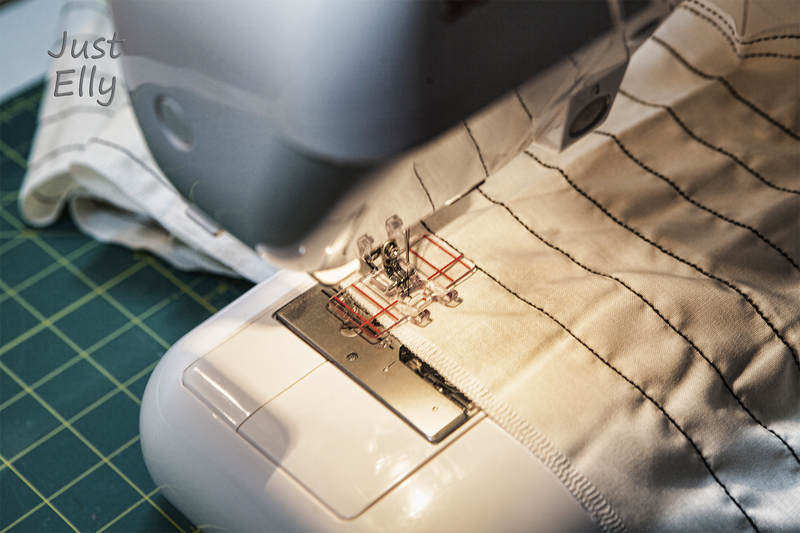 If you want to sew it the way I did, dont use a too small piece of velcro! The velcro will hold the skirt together!!! For the size of the skirt I measured myself and added a few inches in length and width. The front I cut 2 1/2 inches broader than the back because the 2 front pieces will overlap a little. 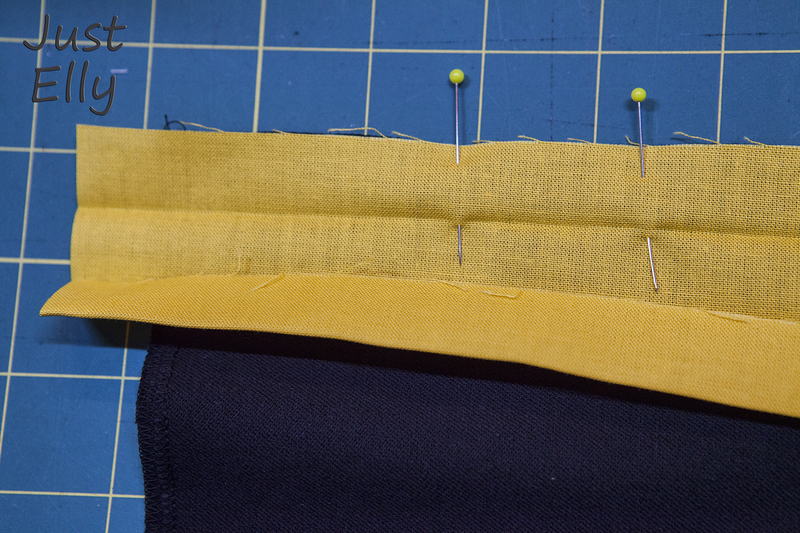 First sew the 2 skirt pieces together. 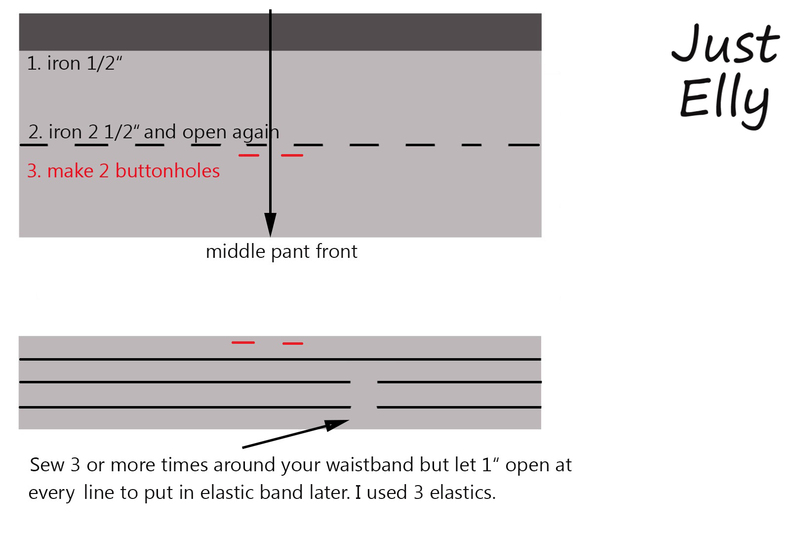 Check how the skirts fits you and where to make the cut to get the 2 pieces for your front. See pic above. Cut your front. 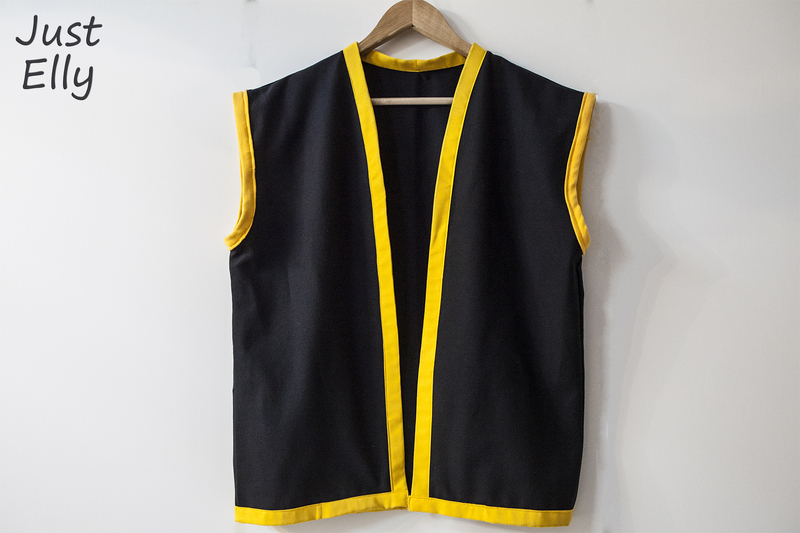 Add the yellow bias binding . 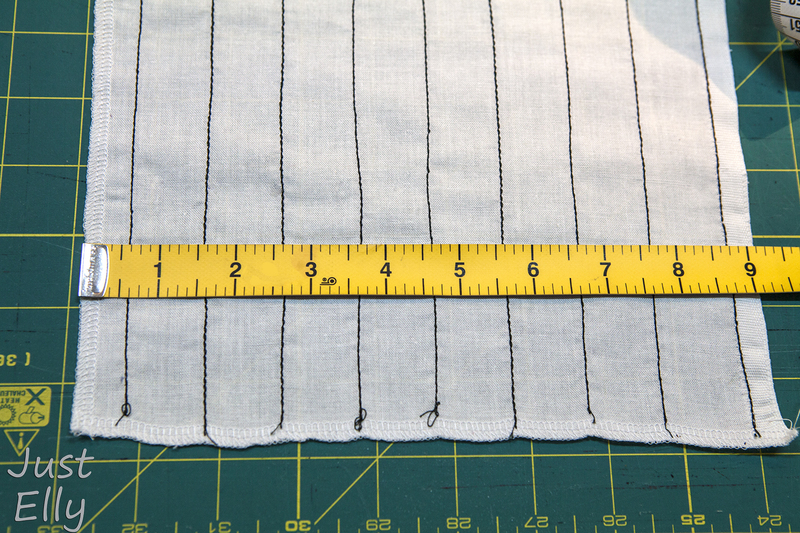 Now measure all three pieces together, add 2″ and cut a 4″ wide stripe. Iron it to the half. 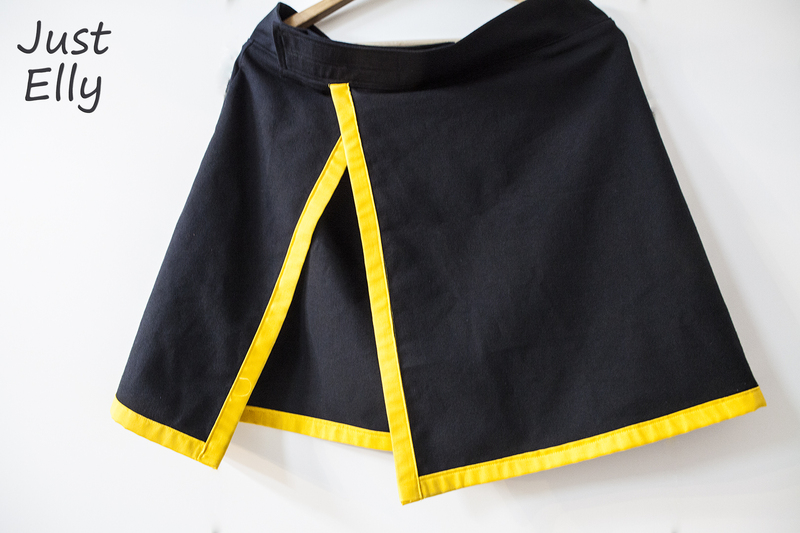 Sew the waistband to your skirt. 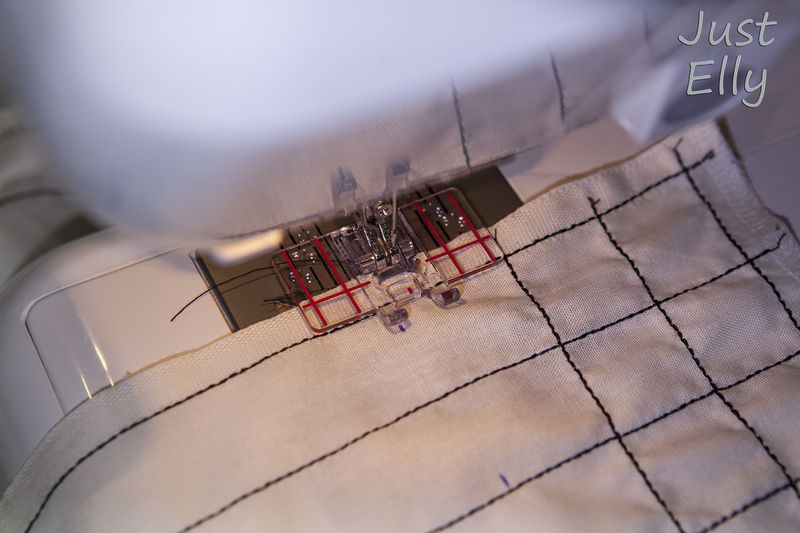 Start at the small front piece. 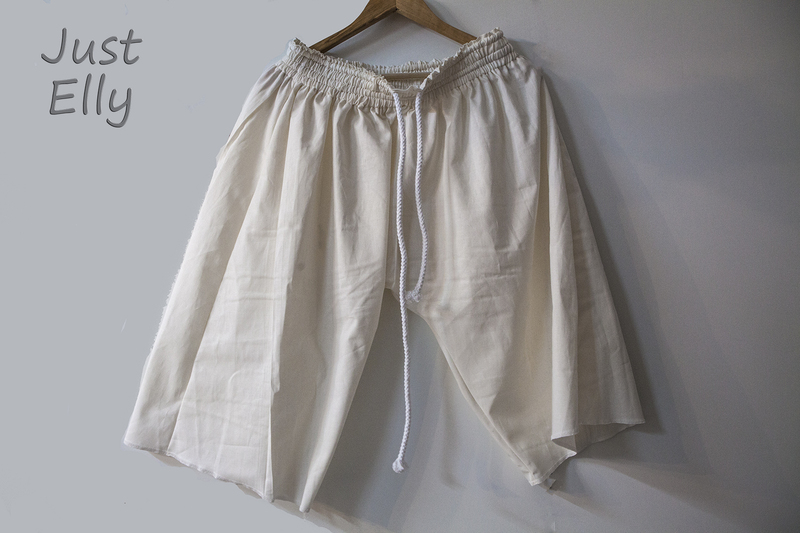 If done the waistband should have been longer when you finished at the larger front piece. Sew the velcro on it. 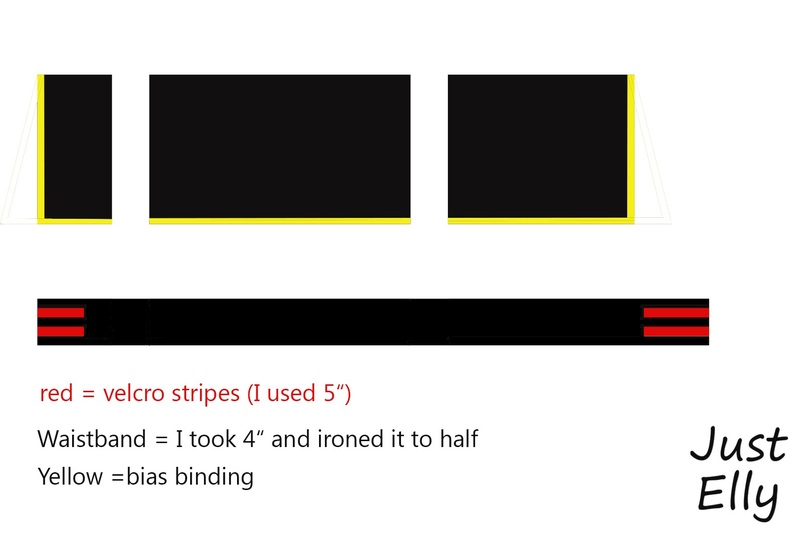 2 stripes on the small front of your waistband, the other 2 on the back of the larger side. Make sure you wont see the velcro when you close your skirt. Here you can see Sonja with the cosplay. Even she is way smaller than Alex she can wear the skirt! I used a pattern from a shirt. I made it larger than my size and added 3 inches in length. For Natsus pants I used the “Burda Young Mens Pants pattern 7306”. 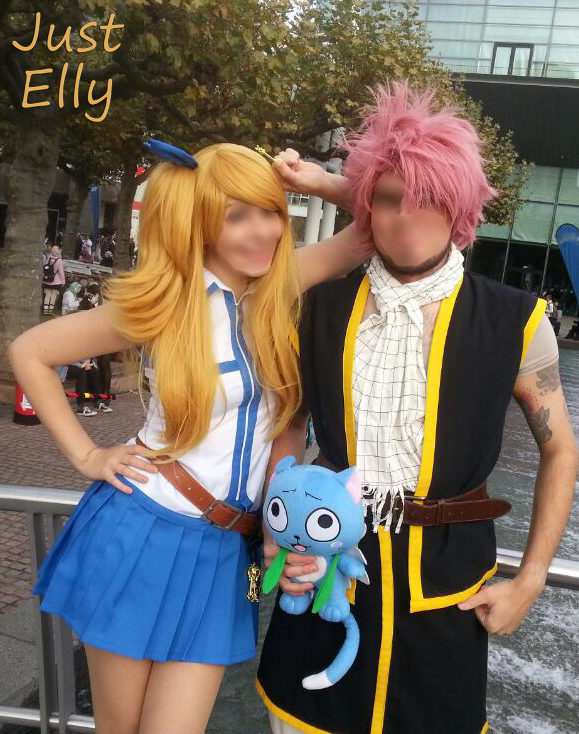 It looked close to the one Natsu wears if I’ve seen it right on the Natsu pics. I needed something very wide and comfy. 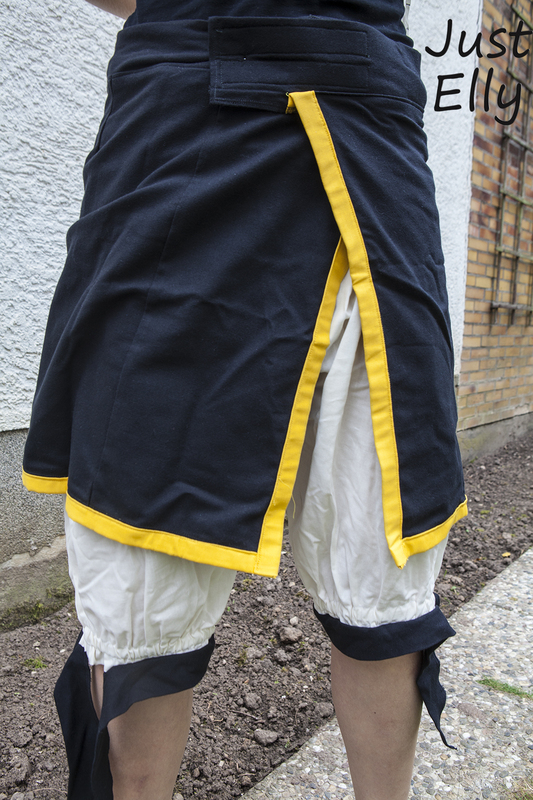 I only had to shorten the pant legs to make it look more like Natsu’s pants. I cut a size way bigger than Alex would wear usually. Because I wanted to make an elastic waistband I added 3 inches for it. 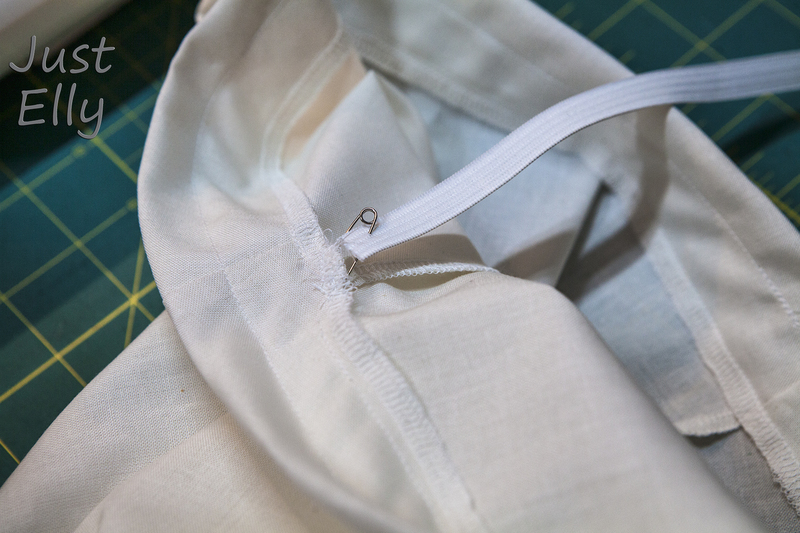 Sew the sides and the pant legs. Because I hadnt been sure this pants will fit Alex I put a band in the waistband too! 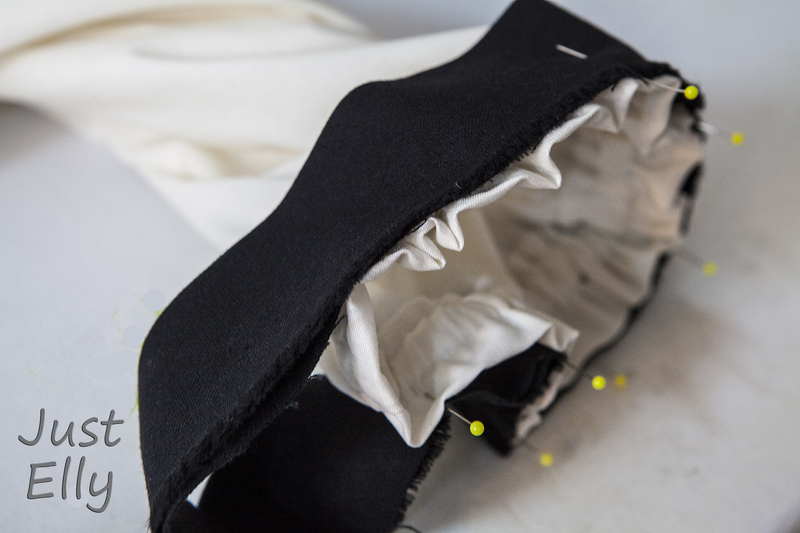 Put in both pant legs an elastic band too and add a 2″ black stripe. Make sure the black stripe is on both sides of the leg at least 3 to 4″ longer! 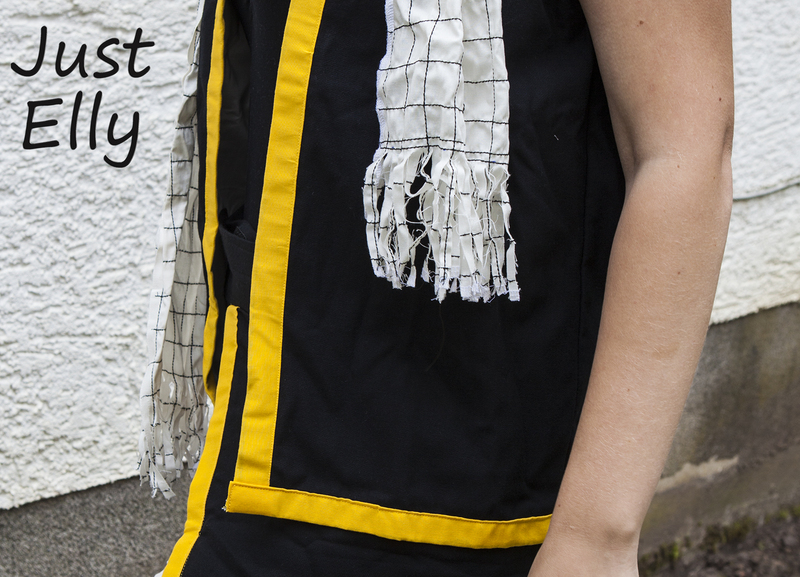 This entry was posted in Home, Tutorials Sewing and tagged Cosplay, cosume, DIY, dress, Fairytale, Manga, Natsu, Natsu Dragneel, sew, sewing, skirt, Tutorial by justelly1. Bookmark the permalink.